Book Description from back cover: Marion and Shiva Stone are twin brothers born of a secret union between a beautiful Indian nun and a brash British surgeon. Orphaned by their mother’s death and their father’s disappearance, bound together by a preternatural connection and a shared fascination with medicine, the twins come of age as Ethiopia hovers on the brink of revolution. My thoughts: My aim is not to review this book or to try to summarize it (especially a book long as this), but just to let you know my general thoughts about it. I loved it. I can honestly say this is one of the best books I’ve ever read and I was very sad for it to end. I loved all the characters in this book and felt like I knew them all by the book’s end. This story had a little bit of everything in it. It made me laugh many times throughout and at the end had me sobbing. I love medicine and so that part of the book I found intriguing. Some of the medical scenes were a little graphic and not for the faint of heart but I think they were accurate. I was left thinking about this story and its characters long after I finished the book. 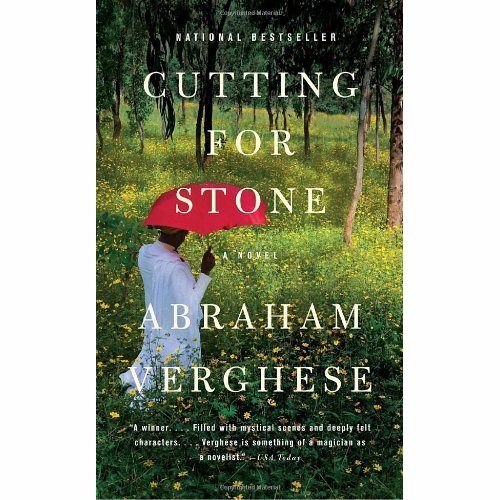 I’m really interested in reading more books by Abraham Verghese. I read this book as part of a book club and it was a popular choice by the book club members. Book Description from back cover: As Father Tim Kavanagh and his wife, Cynthia, ponder retirement, a brash new mayoral candidate calls for aggressive development. A shady realtor eyes the beloved house on the hill. And heaven forbid, the Sweet Stuff Bakery may be closing. 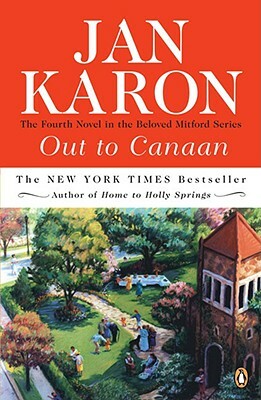 Jan Karon’s fictional mountain village has become home to ardent Mitford fans around the world, and thank goodness, there’s always room for one more. My thoughts: I have loved all the books in the Mitford series and this one (the 4th) was no exception. Being an Episcopalian myself, I especially love them since the main character is Father Tim, an Episcopal priest. These books are heart-warming. The characters, though eccentric, are so lovable and will find their way into your heart. The stories take place in the fictional town of Mitford, North Carolina in the Blue Ridge Mountains. There’s never a dull moment in Mitford! They are easy enjoyable books to read and I’m looking forward to reading books 5-9 of the series. My thoughts: I read this book in two sittings and didn’t want to put it down. 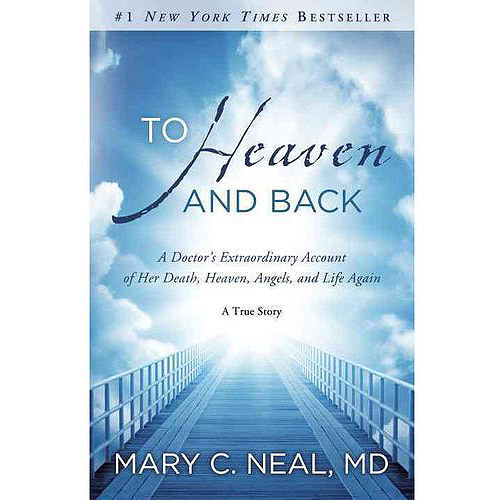 It was one of those books that kept me saying, “O.K., just one more chapter.” I found this book to be very comforting as I have found most books about near death experiences to be. Like the author, I’ve always felt drowning would be a terrifying death, but the way she described it while happening– that she never felt panicked or terror or felt that she was suffocating– because God came and held her throughout her drowning– was comforting. She felt comforted and at peace. I don’t think one can go through an experience like this and NOT be changed from it. Mary’s experience I think helped her to cope with other tragedies that followed in her life. I enjoyed this book and was left with a good feeling at the end. Christianity is more than a system of beliefs or even an experience – it’s a completely new life. In this fresh new look at the essentials of the Christian walk, Bruce Bickel and Stan Jantz provide readers with the resources they need to nourish their souls and revitalize their spirits.They offer practical wisdom and penetrating insights into such foundational topics as: The Bible, why to read it and how to understand it; Prayer, how to have an authentic conversation with God; The Holy Spirit, how to experience God’s power and presence every day.Readers who have walked with God for many years as will as new believers will find the encouragement they need to continue making steady progress in their spiritual lives. Chapter summaries, reading lists for further study, and questions for reflection and discussion make this a perfect tool for personal or group use. My thoughts: I really enjoyed this book and got a lot out of it. It is written in a very straight forward and easy to understand format (as the title says…. in plain language). I liked the format. Each chapter was summarized at the end and had discussion questions which made me think. It would be a good book to read in Christian book club where the discussion questions would be helpful. I also liked that each chapter gave a suggestion of other books/resources for additional study on that chapter’s topic. 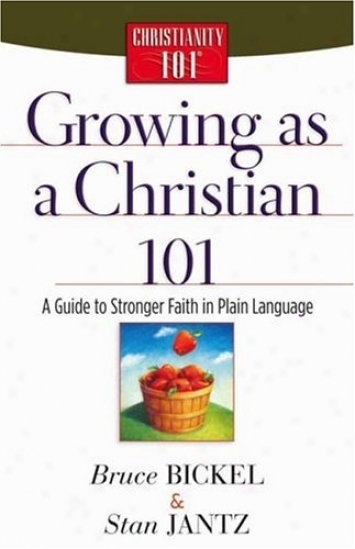 This book I think is particularly good for new Christians or those just needing to review the basics. I am very interested in reading other books in this series by these authors. As a minister who simply cannot say no, Stevens (Find Your Way Home), an Episcopal priest in Nashville, suddenly and unexpectedly finds herself officiating at the funeral of a woman she knows nothing about. Beginning with her initial decision to accept and ending as she leaves the grave site, the book progresses through a clear narrative structure. Stevens’s personal meditations, memories and musings on such an uncommon opportunity shape themselves into more than simply an inspirational memoir. It is also a parable with two themes, using the framework of the funeral to illuminate two difficult steps on the journey of belief: confronting the inevitability of death and finding compassion for the strangers around us. Each brief chapter offers a precise perspective on either theme, sometimes musing on the funeral itself but more often drawing from the author’s past experiences, the voices of others and biblical theology. 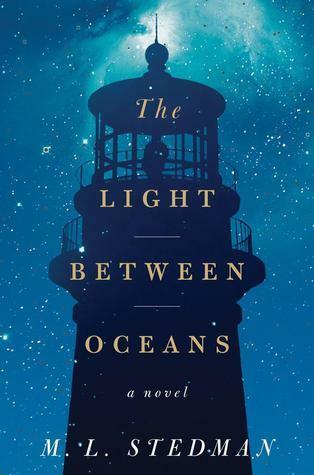 My thoughts: This is the second book I’ve read by Becca Stevens. This one left me yearning to read more. I admire her down-to-earth nature and her charming stories. This book made me smile throughout and even left me crying a time or two. 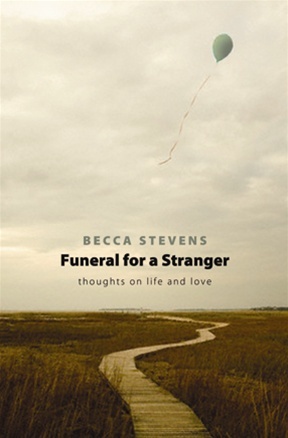 It’s about Becca Stevens, an Episcopal priest, who agrees to “do” a funeral for a woman she has never met– a total stranger. In the beginning she doesn’t really want to do this funeral, but she does, (she hated to say no) and she ends up being blessed by this stranger and this funeral. It’s a book about death and grieving. It’s a book about life and its many lessons. But mostly its a book about love. This book taught me, above all, why it’s important that we show kindness and love to strangers– not just some strangers, but all of them. Sixty years ago, on October 15, 1952, E.B. 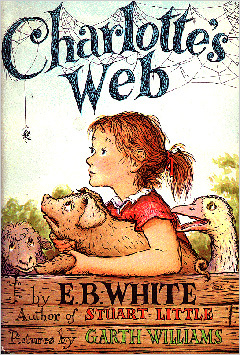 White’s Charlotte’s Web was published. It’s gone on to become one of the most beloved children’s books of all time. To celebrate this milestone, the renowned Newbery Medalist Kate DiCamillo has written a heartfelt and poignant tribute to the book that is itself a beautiful translation of White’s own view of the world—of the joy he took in the change of seasons, in farm life, in the miracles of life and death, and, in short, the glory of everything. We are proud to include Kate DiCamillo’s foreword in the 60th anniversary editions of this cherished classic. Charlotte’s Web is the story of a little girl named Fern who loved a little pig named Wilbur—and of Wilbur’s dear friend Charlotte A. Cavatica, a beautiful large grey spider who lived with Wilbur in the barn. How all this comes about is Mr. White’s story. It is a story of the magic of childhood on the farm. The thousands of children who loved Stuart Little, the heroic little city mouse, will be entranced with Charlotte the spider, Wilbur the pig, and Fern, the little girl who understood their language. The forty-seven black-and-white drawings by Garth Williams have all the wonderful detail and warmhearted appeal that children love in his work. Incomparably matched to E.B. White’s marvelous story, they speak to each new generation, softly and irresistibly. My thoughts: Sometimes rereading children’s books can be a lot of fun and frankly I needed a little stress relief in my life. Who doesn’t love this timeless children’s classic? This little book covers so many important things…. love, honesty, trust, kindness, loyalty, empathy, friendship, happiness, life and death, etc. I remember first being introduced to this book by my third grade teacher who would read it to the class right after our lunch period. I looked forward to it every day. I also remember reading it to my two sons when they were small. I love all the characters- Charlotte the spider, Wilbur the pig, Fern, the geese, Templeton the rat, the sheep, etc. It’s just a wonderful book. 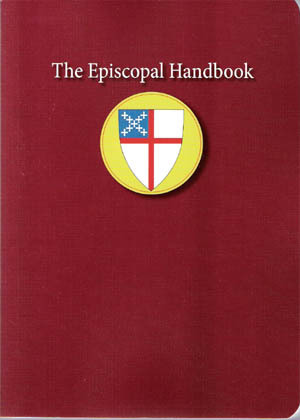 The Episcopal Handbook provides historical and theological information about the Episcopal Church alongside fun-filled facts and practical tips for being a churchgoing follower of Jesus Christ. students, families, and all those interested in learning about much of what encompasses life in the church. This is a handy little book for Episcopalians or those wanting to learn about the Episcopal faith. I like the added humor. This book contains a lot of neat historical information. It’s a quick and easy read and I learned quite a bit reading this book. The loss of a mother is one of the most traumatic experiences of a woman’s life. At any age, a mother’s death may leave a daughter with feelings of anger, abandonment and profound sadness that taint the way she views herself, her world and every other relationship around her. 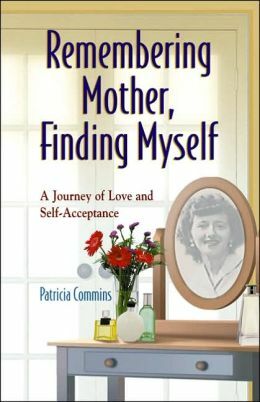 In this breakthrough book, author Patricia Commins, who lost her mother at 26, shows readers that the key to escaping the sorority of sorrow is by understanding their mothers as women and by feeling an ongoing connection with them. From this perspective -outside the parent-child relationship that is so fraught with conflict and complex emotions – women gain key insights into their mothers and themselves. By addressing the psychological and spiritual connection that remains after a mother’s death, Remembering Mother, Finding Myself offers the essential element that is missing from other books on motherless daughters. The Path of Understanding -a unique experiential process based on journaling, conversations with friends and relatives, and meditative exercises- does not seek to negate the loss a woman feels when her mother dies. It instead gently leads her beyond the grief and pain to a new awareness, freeing her from forever trying to be the perfect daughter. Through her own illuminating experiences and those of other women, Commins shows women how to reconnect their deceased mothers while finding peace and self-acceptance. Included are interviews with dozens of women, including such notables as writers Joyce Maynard and Nancy Friday and psychiatrist Elizabeth Kubler-Ross. My Thoughts: I actually bought this book over 6 years ago as my mother lay dying in a hospice residence. I read a little of it and found it too difficult to get through so close to her death. Though I loved my mother with all my heart, we didn’t have a perfect mother/daughter relationship, especially in her later years (I don’t think there IS such a relationship). This book helped answer some confusing questions I had about my mother and why she did certain things she did. Above all, it helped me to see that my mother was human and human beings aren’t perfect and make mistakes. It had very helpful exercises at the end of each chapter. Some I did, some I didn’t. I hope to really take some time with this book at some point later on down the road and really work through all of the exercises. 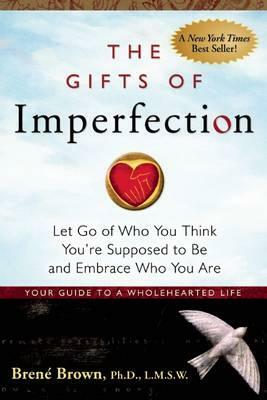 Overall it was a very helpful, thoughtful, and compassionate book. I liked this book. I found it interesting to see into the mind of a character who in the beginning of the novel is seemingly normal, and then takes what I thought was a pretty sudden downward spiral into mental illness. I had read several blogs about this book and it spurred my curiosity. Not a happy book by any means but an interesting one which gave me some insight. 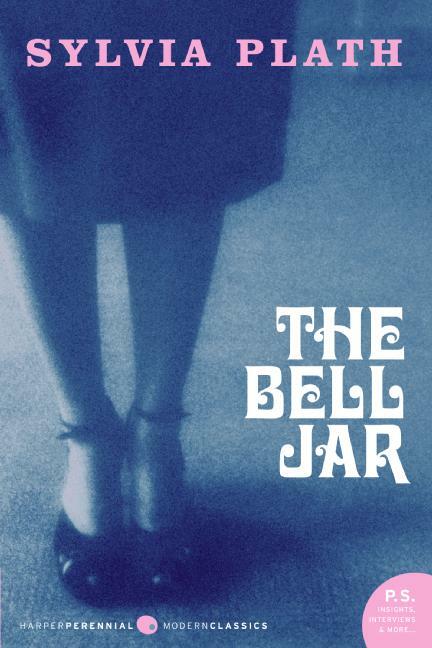 Sylvia Plath’s life was sad and tragic and after reading a few biographies about her, it was easy to see that she indeed did pattern the main character after herself. This was an easy read and the book held my interest. 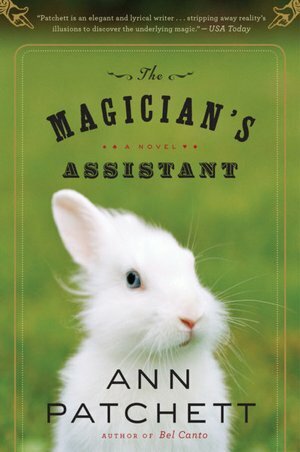 Much like the bestselling books by OgMandino, this unique narrative is a blend of entertaining fiction, allegory, and inspiration, with just a touch of self-help. Gifted storyteller Andy Andrews gives us a front-row seat for one man’s journey of a lifetime. David Ponder is at a crossroads. Having lost his job and the will to live, he has been supernaturally selected to travel through time, gathering wisdom for future generations. Visits to historical figures such as Abraham Lincoln, King Solomon, and Anne Frank yield the Seven Fundamentals for Success that will impact the entire world. A visit to the future reveals the result of David’s journey, the fruits of his labor. Ultimately, like David, readers will see how the perspective of our own circumstances is dramatically altered when we glimpse the “big picture” of life. 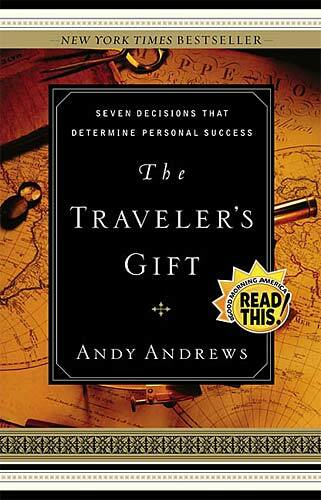 This was the first book I have read by Andy Andrews. It was recommended to me by an employee at Books-A-Million who often recommends books for the book club I’m part of. A woman behind me in line overheard this employee recommend the book, and she smiled and then held up a boxed set of Andy Andrews books (which included The Traveler’s Gift) which she was getting ready to purchase. I thought to myself, what are the chances of that happening? Just a few weeks later, I came across a like-new copy at Goodwill and couldn’t pass it up. I thought this book was very clever. It combined both fiction and self-help which I imagine is no easy feat but I think Andy Andrews pulled it off in this book. I didn’t want to stop reading the book once I started. It’s a very simple read and it’s a book I plan to refer back to and reread. I would love to purchase the study guide and delve into this book and the seven secrets to success a little deeper. I will definitely read more from Andy Andrews. 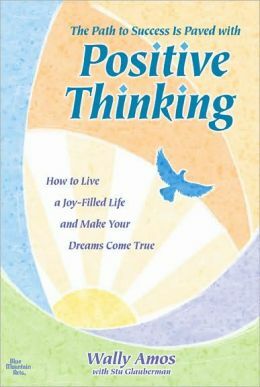 In this book, award-winning entrepreneur and bestselling author Wally Amos shares his insights into the transformative power of positive thinking and how to use it to create a life full of success, inner strength, and lasting joy. This is a Blue Mountain Arts book and who doesn’t love those? A quick and easy read with many uplifting and positive statements. Wally Amos shares his thoughts on what it means to transform your life, believe in yourself, and turning from pessimism to optimism. He talks about inner strength and love, success and finding happiness. Improve your health and extend your days with simple food choicesToday we have an abundance of options when it comes to the food we eat. But all foods are not created equal. In fact, some food should not even be labeled food but rather “consumable product” or “edible, but void of nourishment.”In Eat This and Live! Dr. Don Colbert provides a road map to help you navigate this often treacherous territory. Based on the key principles for healthy eating in Dr. Colbert’s New York Times best seller, The Seven Pillars of Health, this practical guidebook to food includes “Dr. Colbert Approved” foods and restaurant menu choices, along with helpful tips, charts, and nutrition information that will make it easier for you to stay healthy and lose weight. Now is the time to build the rest of your life on this wonderful pillar of health–living food! This is a very informative little book that will open your eyes in many ways. It’s full of great information on how to eat better for a healthier lifestyle. Very simple reading and the book is made more appealing due to all the colorful pictures inside. 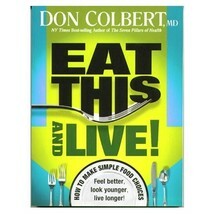 Dr. Colbert talks about “living” versus “dead” foods and foods to avoid (and why). He discusses antioxidant rich foods and vitamins and minerals. There’s also a good section on water. He includes shopping tips and also tips for eating out. I learned a lot from this book. I’ll keep it on hand for a good nutritional resource. 13. Proof of Heaven: A Neurosurgeon’s Journey into the Afterlife– by Eben Alexander, M.D. If you know me, you know I love Near Death Experience (NDE) books. I knew when I heard about this book that I would read it. It came highly recommended to me by several friends. Overall, I liked the book but I can’t say it was my favorite NDE book. I wish it would have gone into more detail about the author’s vision of heaven and his interaction with the heavenly beings he encountered. Instead, it covered more about the illness that caused him to have the NDE (which WAS important), what was going on here on earth while he was in his coma, what his family was going through, etc. I also thought it got a little too heavy into the neuroscience aspect which caused me to lose a little interest. I did find this doctor’s NDE fascinating and found it incredible that he survived the deadly E.Coli meningitis he contracted and even more incredible (or maybe a better word is miraculous) was that he had no long term effects. Friar Jack Wintz wants you to know–the Bible gives many clues that we will be with our pets in heaven. 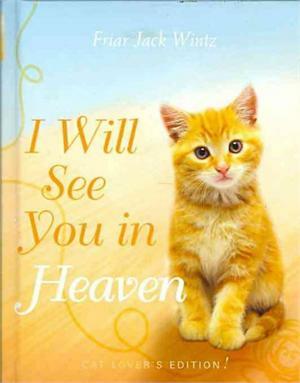 In I Will See You in Heaven: Cat Lover’s Edition, he shares heartwarming stories of lovable felines, and offers hope to those who miss their departed pets. Includes a presentation page for gift giving. I loved this little book. It’s short and a very easy read. It contained several prayers and blessings for animals and a nice prayer for animals who are dying or who have died. It provided much comfort to me when I had to put my much-loved cat to sleep 2 weeks ago. I used it to help prepare a little burial service for him. The Poisonwood Bible is a story told by the wife and four daughters of Nathan Price, a fierce, evangelical Baptist who takes his family and mission to the Belgian Congo in 1959. They carry with them everything they believe they will need from home, but soon find that all of it — from garden seeds to Scripture — is calamitously transformed on African soil. What follows is a suspenseful epic of one family’s tragic undoing and remarkable reconstruction over the course of three decades in post-colonial Africa. I like the way this story was narrated by the 5 women in the missionary family (the mother and 4 daughters). Each daughter was so different and it was interesting to get each of their perspectives about life in the Congo. I particularly enjoyed Rachel’s humor, although I must admit she was a little obnoxious at times. This is not a happy story by any means, and has a lot of tragedy. It was a very informative book and educated me about Africa. I had never read any of Barbara Kingsolver’s books (but heard this is her best). I’m interested in reading more of her books now. 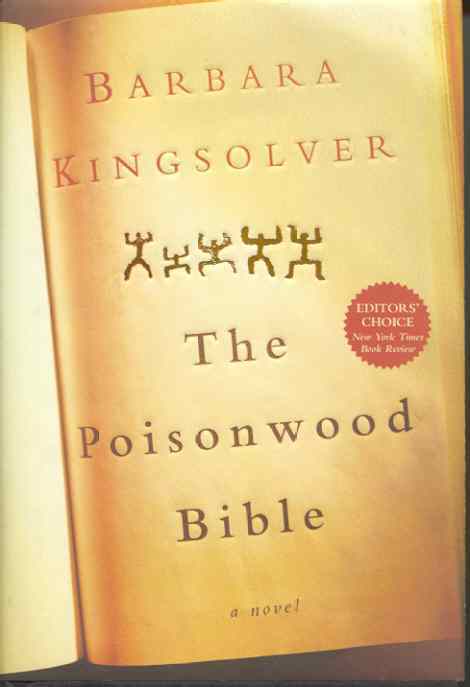 The Poisonwood Bible was not a quick read for me and I lost interest a little in the end when it bogged me down too much in the political history of the Congolese, but overall I really liked the book. It was a good book to discuss in book club. 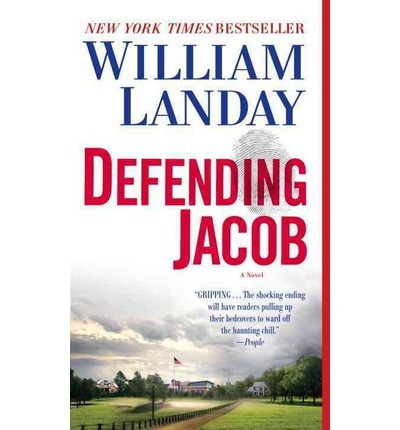 Our book club members really enjoyed this book. This was the author’s first novel and quite impressive. The plot definitely drew me in and kept me saying “Just one more page!” I thought this book was very well written. It was full of moral and thought-provoking dilemmas that had me wondering what I would have done if faced with the same situations. It’s a book that will touch your emotions and it’s heart wrenching in the end. Have the tissues ready! It was a good book for a book club as there was so many issues to discuss. Our group all really liked this book. A father’s wounded heart. A mother’s patient love. An eager boy, an impetuous girl, and above all the healing power of nature. 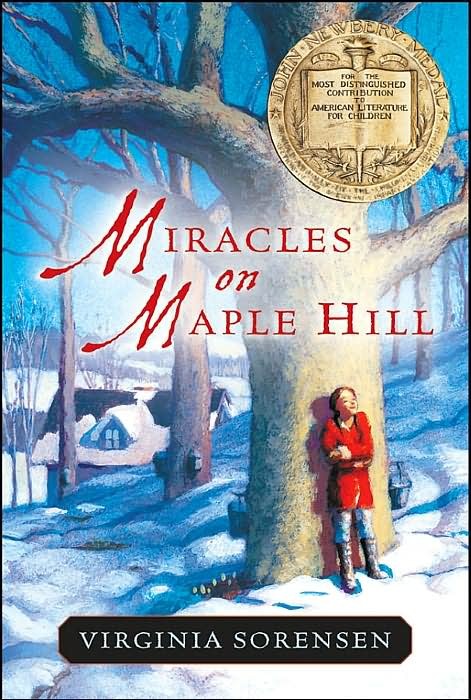 When Marly’s father comes back from the war a different man, the family moves to Grandma’s old house on Maple Hill, where miracles begin to happen. These are the classic ingredients that fill Virginia Sorensen’s 1956 Newbery Award winning novel with a tender power and lift it to classic status. This is a book intended for children in grades 3-5. I don’t think I had ever read it. I bought it for my sons when they were in elementary school at a scholastic book fair. I’m cleaning off my bookshelves and decided I would read this one before packing it away. I enjoyed this book tremendously. It’s just fun to go back every now and then and read a good book that is designed for young readers. I felt like I was at Maple Hill with Marly and her family, experiencing all the life lessons and fun they had. It’s a book with valuable life lessons and true to life. This was the first book I have read by author Ann Patchett. It was a book selected by my book club. It was a page-turner, especially in the beginning and it held my interest until the last 100 pages or so. I liked the author’s style of writing and I do plan to read more of her books, but I just couldn’t help but feel let down by how this book ended. It seemed to just ramble at the end and it didn’t really wrap the story line up to suit me. I felt I was left hanging in the end and felt like there was a big question mark above my head when I finished it. It was an okay book all in all but I was just very disappointed in the ending. This was another book my book club selected. I will say we all really liked it. If you like murder mysteries and suspense, this is the book for you. I’ll admit, I don’t usually like murder mysteries, but this book was one I wanted to keep reading. I can’t say much about my thoughts on the book without having spoilers, so I’ll just say that the ending was NOT at all what I expected. I knew there was going to be a big twist and there most definitely was (or two or three), but the ending completely took me by surprise. I wasn’t so sure I wanted the book to end like it did but still I liked it and it made for a great discussion in our book club. It also gave me a lot to think about and especially made me wonder what I would do if I were a parent in the same situation. The parents in this story irritated me to some degree as I wanted them to question their son more than they did. There didn’t seem to be much communication in this family which just didn’t seem very realistic to me (considering their son was being accused of murdering a classmate). All in all, I liked the book and would recommend it to others. While this book was a quick and easy read, it’s one that contains so much information that it will definitely require me to read it again (probably several times of rereading it to be honest). I’m leery of self-help books sometimes because I feel like they can set you up for failure right from the get go because so many of them outline things you MUST do to accomplish X, and if you take a good long honest look at what it expects you do, it’s often not attainable by the average human. So for this reason, I think self-help books can often do more harm than good. That being said, this book wasn’t like that and it had some valuable information I think. Brene Brown is a “shame researcher” (I never knew there was such a thing) and I found her research to be fascinating and her book to be insightful. I look forward to reading it again. I was a little disappointed that it wasn’t written from a more spiritual standpoint (I was thinking it was) but still I liked this book. 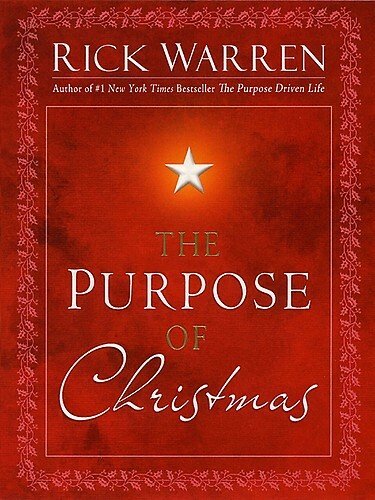 In his powerful yet compassionate voice, Pastor Rick Warren sounds the clarion call to “remember the reason for the season,” taking readers back in time to the most wonderful story of all—the birth of the baby Jesus. When he was just a small boy, young Rick asked his parents if they could celebrate Christmas with a birthday party for Jesus—and the tradition began that the Warrens have upheld for over fifty years. Now through stirring imagery and compelling personal insights, The Purpose of Christmas honors the significance and promise of this cherished holiday. Pastor Warren encourages readers to identify and confront what drains peace from their lives. Warren explains that the way to respond to these peace robbers is to learn how to surrender to God’s will and not feel defeated or discouraged when life does not go as planned. True peace of mind is found by having an unshakeable faith in God—knowing that His empowering Spirit will guide His children through life’s challenges. Beautifully written, The Purpose of Christmas will stir readers to honor the true significance of Christmas and to nurture God’s gifts of love and peace in this world. I’ve read this book many times. It’s become part of my annual Christmas reading. I read it aloud to my husband this week as we were driving home from a trip. It’s a good reminder of what Christmas is all about–the real reason for the season. This is a very quick and easy read…. and a meaningful one. Hundreds of thousands of readers have already fallen in love with Ann Voskamp’s One Thousand Gifts, and this Christmas, Ann invites readers into the rich and meaningful celebration of Christmas we all long for — a celebration of the complete love story that’s been coming for you since the very beginning. In what is certain to become an instant holiday classic, Voskamp reaches back into the pages of the Old Testament to explore the lineage of Jesus — the greatest gift — through the majestic advent tradition of “The Jesse Tree,” each day featuring its own exquisite ornament highlighting the Biblical story (free download of each of the 25 ornaments available from Voskamp’s website, annvoskamp.com ). Beginning with Jesse, the father of David, The Greatest Gift retraces the epic pageantry of mankind, from Adam to the Messiah, with each day’s profound reading pointing to the coming promise of Christ, so that come Christmas morning you find that the season hasn’t blurred past you but your heart’s fully unwrapped the greatest gift you’ve always yearned for. Sure to become a holiday staple in every Christian home, The Greatest Gift, a New York Times bestseller, is the perfect gift for the holidays and a timeless invitation into the richness of the true meaning of Christmas. I truly enjoyed these daily Advent devotional readings. This book helped to give more meaning to Christmas this year and I’ve decided it will be a yearly tradition to read this book every Advent season. I found the readings very meaningful and they were helpful in my Advent journey this year. I loved this book! It was the first book I’ve read by author Liz Curtis Higgs (well, except for her children’s book, The Pumpkin Patch Parable which I loved) and I will definitely be reading more from her. I love her style of writing. 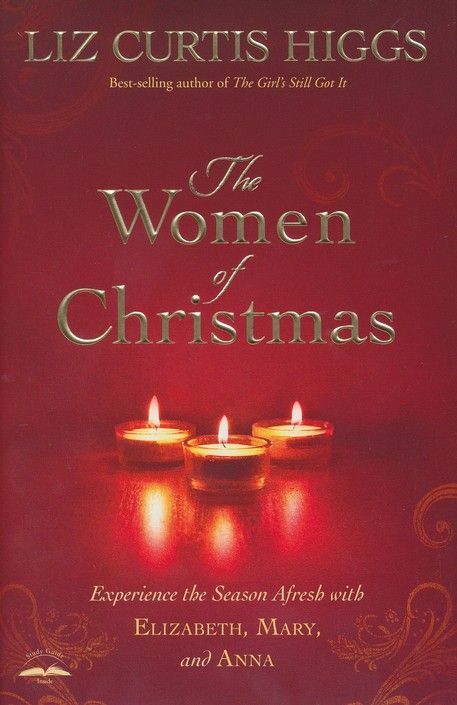 She made me feel like I was right there experiencing what each of these three women of Christmas went through. This will be another book I’ll probably re-visit each Christmas. It was very meaningful and had good food for thought. Thanks for some tips for new authors – it’s library day today! You are welcome! Enjoy your day! !